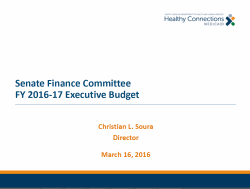 Governor Henry McMaster today announced Christian L. Soura’s resignation as Director of the South Carolina Department of Health and Human Services, effective April 7, 2017. 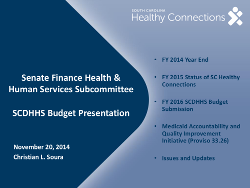 The South Carolina Department of Health and Human Services (SCDHHS) engages in an on-going effort to prevent and identify fraud in the Medicaid program, and to recover the funds lost because of fraudulent and wasteful practices on the part of healthcare providers. Not only is this mandated by federal regulations found in 42 CFR 455, it is critical because of the need to assure that public resources are properly managed. 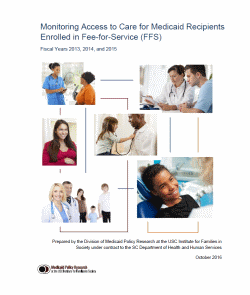 The South Carolina Department of Health and Human Services (SCDHHS) engages in an on-going effort to prevent and identify fraud in the Medicaid program, and to recover the funds lost because of fraudulent and excessive practices on the part of healthcare providers. Not only is this mandated by federal regulations found in 42 CFR 455, it is even more critical because of the need to better manage scarce public resources in a time of rising demand and decreasing tax dollars. The department is committed to increasing the quality and number of cases referred to the SC Attorney General's Office for fraud and the recovery of funds lost due to fraud, waste and abuse. The South Carolina Department of Health and Human Services (SCDHHS) engages in an on-going effort to prevent and identify fraud in the Medicaid program, and to recover the funds lost because of fraudulent and excessive practices on the part of healthcare providers. Not only is this mandated by federal regulations found in 42 CFR 455, it is even more critical because of the need to better manage scarce public resources in a time of rising demand and decreasing tax dollars. The department is committed to increasing the quality and number of cases referred to the SC Attorney General’s Office for fraud and the recovery of funds lost due to fraud, waste and abuse. The National Health Care Anti-Fraud Association estimates that financial losses due to health care fraud are in the tens of billions of dollars each year. Other estimates by government and law enforcement agencies such as the FBI place the loss due to health care fraud as high as 10 percent of annual health care expenditures. Federal regulations define fraud as “intentional deception or misrepresentation made by a person with the knowledge that the deception could result in some unauthorized benefit to himself or some other person.” (42CFR 455.2) Medicaid fraud is a criminal matter. Waste, improper claims, billing errors, and abuse also cause losses of Medicaid funds but are not criminal actions. SCDHHS receives fraud “tips” from its fraud hotline and also conducts extensive data mining to identify potential fraud cases. 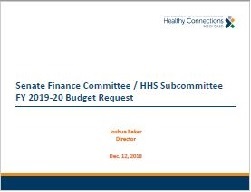 Federal regulations require SCDHHS to conduct a preliminary investigation upon suspicion of fraud and then refer the cases to the Medicaid Fraud Control Unit (MFCU) in the SC Attorney General’s Office. Cases are also referred to the MFCU from other sources, such as the FBI, the federal Office of Inspector General, other state agencies, and the MFCU’s own fraud hotline. SCDHHS’ Division of Program Integrity conducts these preliminary investigations and collaborates with the MFCU on all fraud cases. Fraud cases can take several years before final adjudication and the collection of any penalties or claim refunds by SCDHHS. The MFCU also participates in national global cases that arise in connection with a U.S. Department of Justice investigation. Those cases oftentimes involve manipulation of wholesale drug prices by pharmaceutical companies to increase Medicaid payments. While considered fraud cases, they are prosecuted as civil cases as opposed to criminal cases. In calendar year 2015 thirteen (13) settlements resulted from cases originating out of the National Association of Medicaid Fraud Control Unit (NAMFCU) actions resulting in recoveries of $6,606,395.75. The following table illustrates Medicaid provider fraud cases that were opened during calendar year 2015 and reflects the number of settlements and convictions that occurred during calendar year 2015. 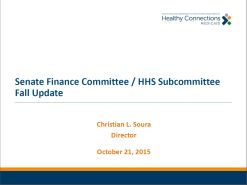 The percent of fraud cases referred by SCDHHS was 27%. Total 2015 calendar year recoveries were $11,866,071.32. 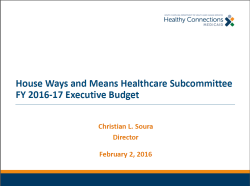 Federal laws and regulations require the return of the federal share of Medicaid funds recovered. Approximately 68% of the recovered amount must be returned to the federal government. 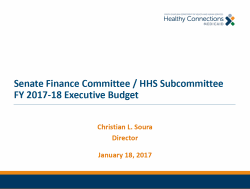 SCDHHS can retain the state share (approximately 32%) of the recoveries and re-use the funds to again match federal monies for the on-going operation of the Medicaid program. 1. All dollars shown are combined federal and state. Some of the recoveries in 2015 are from cases opened in prior year(s). 2. Program Integrity recoveries due to cases for waste, overpayments, improper payments, and abuse that were not referred for potential fraud. The National Health Care Anti-Fraud Association estimates that financial losses due to health care fraud are in the tens of billions of dollars each year. Other estimates by government and law enforcement agencies such as the FBI place the loss due to health care fraud as high as 10 percent of annual health care expenditures. Federal regulations define fraud as ¡§intentional deception or misrepresentation made by a person with the knowledge that the deception could result in some unauthorized benefit to himself or some other person.¡¨ (42CFR 455.2) Medicaid fraud is a criminal matter. Waste, improper claims, billing errors, and abuse also cause losses of Medicaid funds but are not criminal actions. SCDHHS receives fraud ¡§tips¡¨ from its fraud hotline and also conducts extensive data mining to identify potential fraud cases. 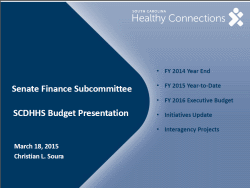 Federal regulations require SCDHHS to conduct a preliminary investigation upon suspicion of fraud and then refer the cases to the Medicaid Fraud Control Unit (MFCU) in the SC Attorney General¡¦s Office. Cases are also referred to the MFCU from other sources, such as the FBI, the federal Office of Inspector General, other state agencies, and the MFCU¡¦s own fraud hotline. SCDHHS¡¦ Division of Program Integrity conducts these preliminary investigations and collaborates with the MFCU on all fraud cases. Fraud cases can take several years before final adjudication and the collection of any penalties or claim refunds by SCDHHS. In general, healthcare fraud involves filing a false claim for Medicaid payments, which can include services that were never provided, or were provided but were not medically necessary. The MFCU also participates in national cases against pharmaceutical companies that manipulate wholesale prices on drugs to get more money from Medicaid. While these are also considered fraud cases, they are prosecuted as civil cases as opposed to criminal cases. The following table reports Medicaid provider fraud cases that were opened during calendar year 2014 updated for the most current data available through December 31, 2014; the amounts recovered by the Attorney General¡¦s Office and Program Integrity and the number of convictions for the same time frame; and the number of recoveries from civil settlements in the national pharmaceutical cases. The federal share of the Medicaid funds recovered (approximately 68%) must be returned; SCDHHS can retain the state share of these recoveries and use it to again match federal monies for the on-going operation of the Medicaid program. The total number of on-going cases for Medicaid provider fraud at the Attorney General¡¦s totaled 136, to include pharmaceutical cases, as of December 31, 2014; 79 of these cases were referred by SCDHHS. This includes cases that were opened in previous years (and therefore not counted in the table below) but are still on-going as of the January 16, 2015, based on the Provider Case List provided by the Attorney General¡¦s Office. All dollars shown are federal and state; the state share is approximately 32%. Some of the recoveries in 2014 are from cases opened in prior year(s). Program Integrity recoveries due to cases for waste, overpayments, improper payments, and abuse that were not referred for potential fraud. 58% of the recoveries from global pharmaceutical manufacturer cases are state funds. The Department of Health and Human Services shall establish a procedure to assess the various forms of health care delivery systems to measure cost effectiveness and quality. These measures must be compiled on an annual basis on identifiable benchmarks. These measures must broadly address agency program areas and initiatives using national and state measures. Cost effectiveness shall be determined in an actuarially sound manner and data must be aggregated in a manner to be determined by a third party. 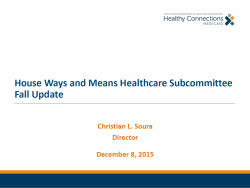 The methodology must use appropriate case-mix and actuarial adjustments. 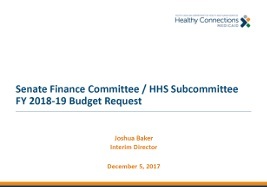 The department shall issue an annual healthcare report of statewide measures deemed appropriate by the department required under state and federal guidelines. 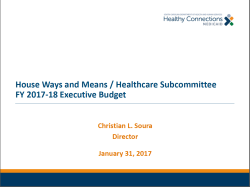 The report shall be formatted in a clear, concise manner in order to be easily understood by Medicaid beneficiaries and other stakeholders. The annual results of the cost effectiveness calculations, quality measures and the report cards shall be made public on the department's website by December thirty-first for the prior state fiscal year. Contact the Office of Communications at: communications@scdhhs.gov.